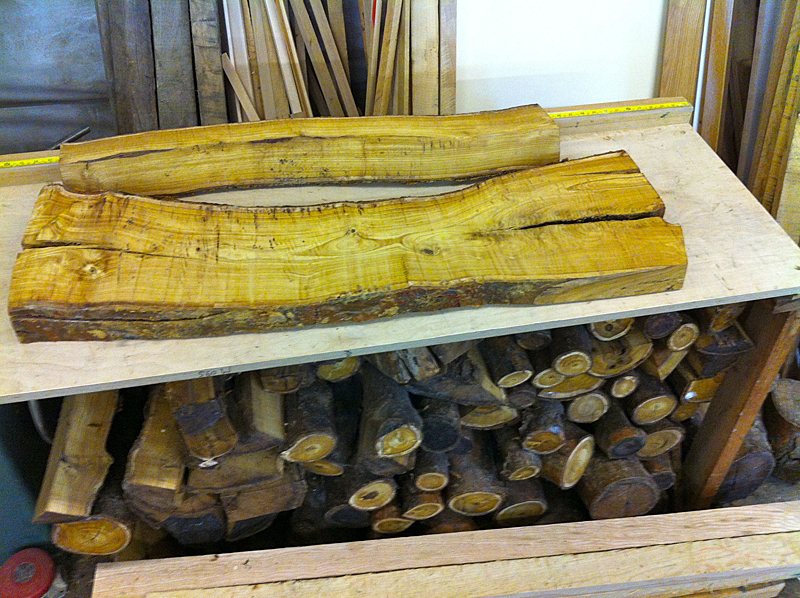 One of our clients recently kindly let us take away the remains of a laburnum tree that had been cut down in his garden. 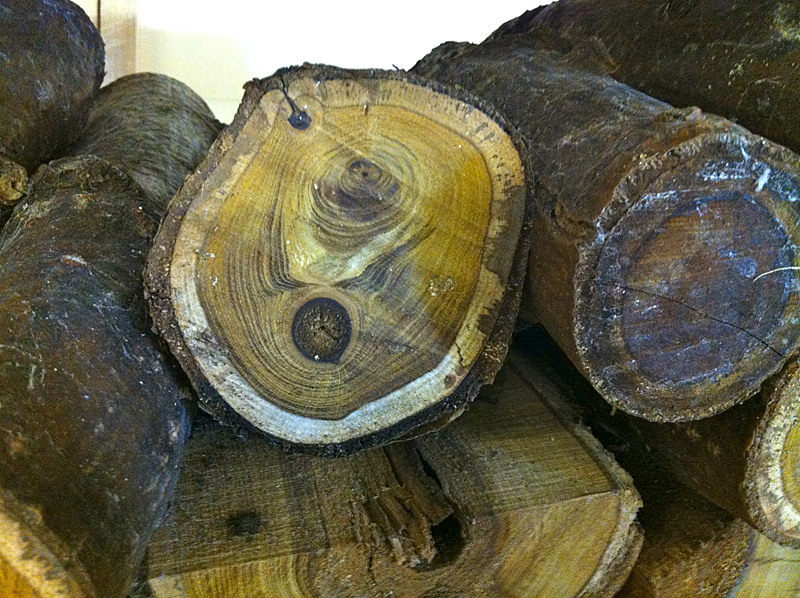 Laburnum has always been used traditionally for wood working, but its popularity waned somewhat after tropical hardwoods were imported over the last century. 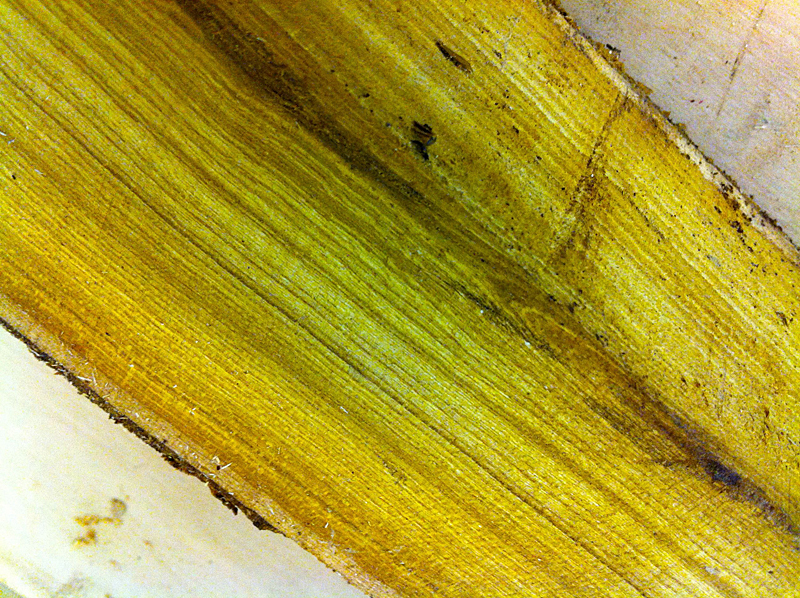 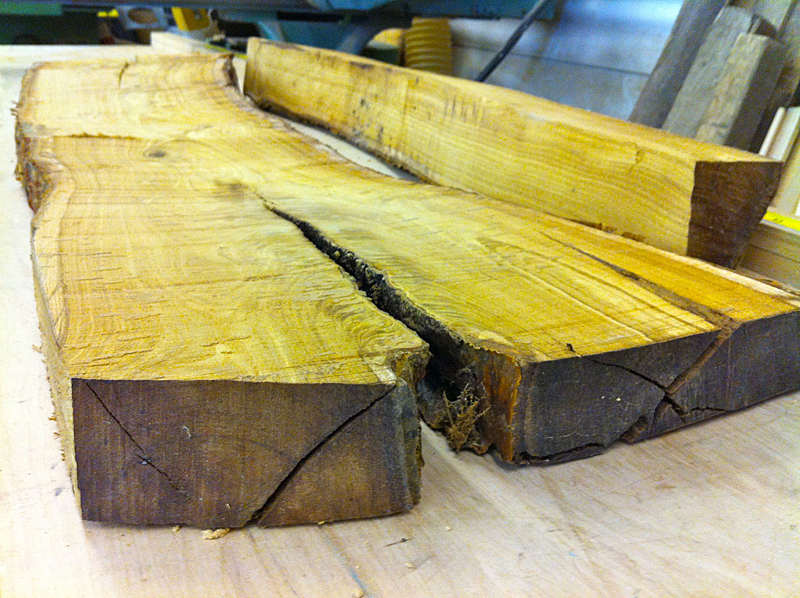 Laburnum is a very hard, dense wood, and has been used for cabinet making, and musical instrument making. 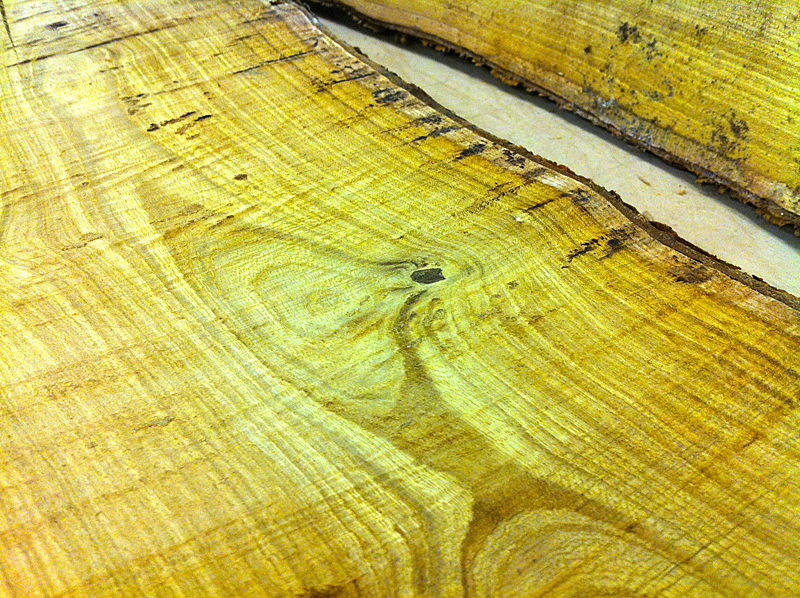 When first cut, laburnum is very light, and as you can see from the pictures, can have an orangey/yellow hue. 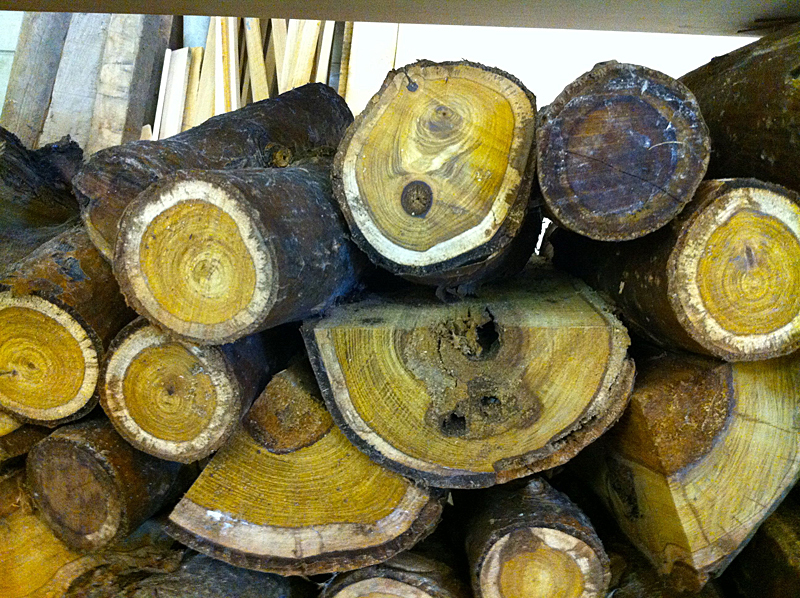 Drying and seasoning for several months, the wood will become darker and darker, and when worked and polished, can become a dark chocolate brown colour. 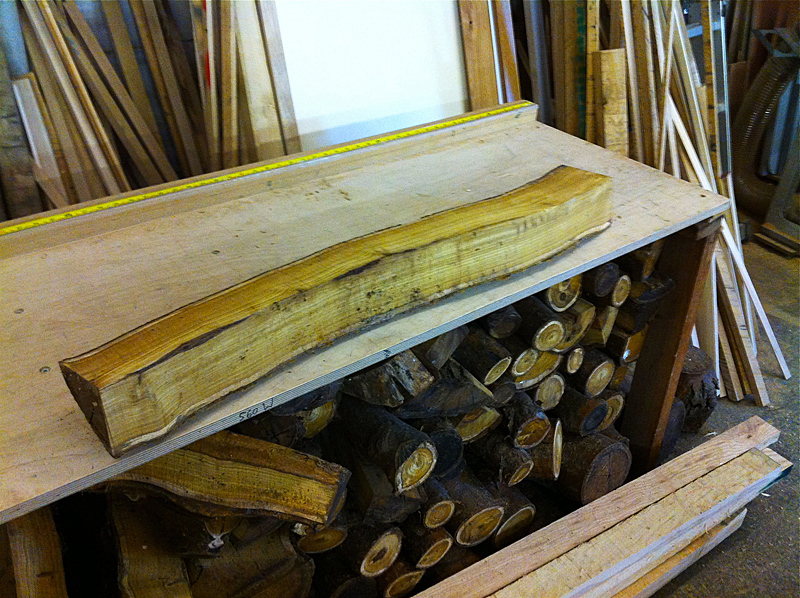 We hope to be making some special pieces with this rare hoard of laburnum, so watch this space….